For my son’s third birthday party, we’re trying to decide between a Monsters University or a Mickey Mouse birthday party. Last week I put together a collection of Monsters, Inc. Birthday Party Ideas and today I’m putting together an inspiration board of Mickey Mouse party ideas. There are so many clever ideas out there to choose from! Coming up with creative food ideas can sometimes be the most difficult part of planning a party. 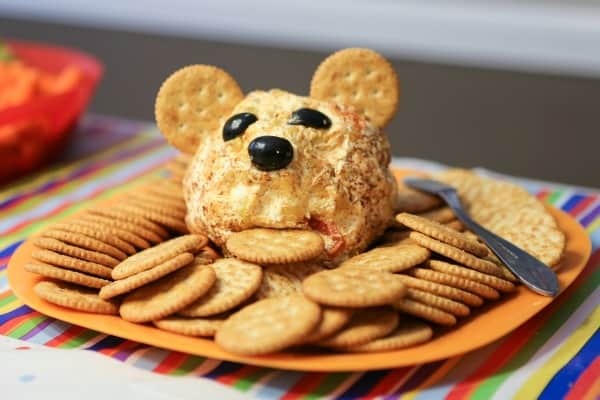 This Mickey Mouse cheese ball by The Photographers Wife is brilliant! I love cake decorating but to be honest with you…I stink at it. 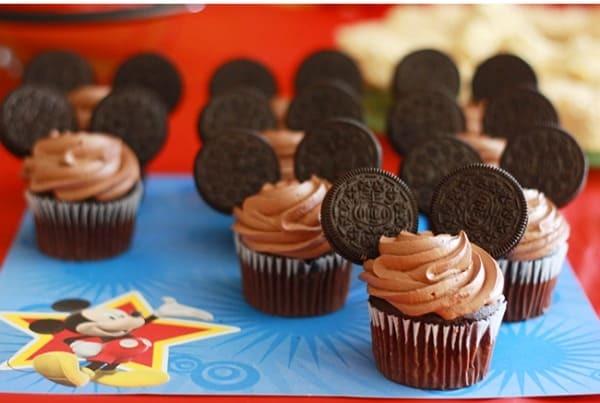 I love this easy idea for Mickey Mouse cupcakes by Full Time Wife Life as featured on Chickabug. I know I could tackle this project! 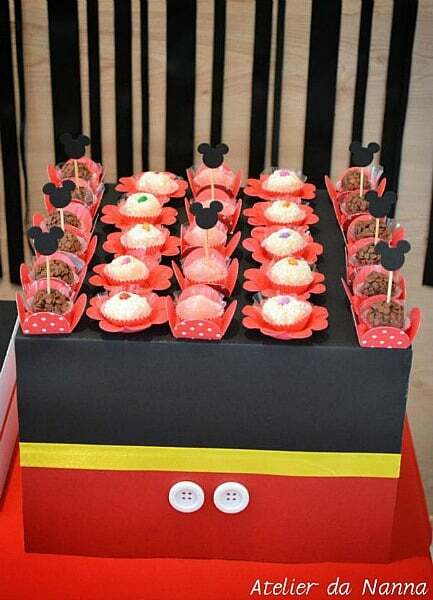 Here is another clever but easy DIY for a Mickey Mouse party – Mickey Mouse boxes to hold the party food. You can view more of these party ideas by Atelier Da Nanna on Bella Paris Designs. With so many brilliant ideas in this Mickey Mouse Birthday Party by Kara’s Party Ideas, it was tough to choose just one to feature. 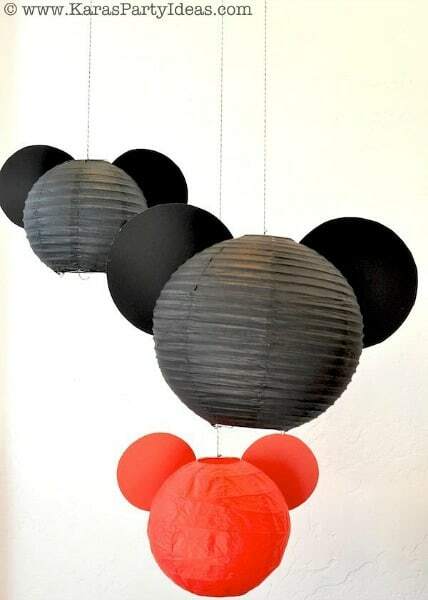 I love this Mickey Mouse paper lantern idea for hanging above the food table. 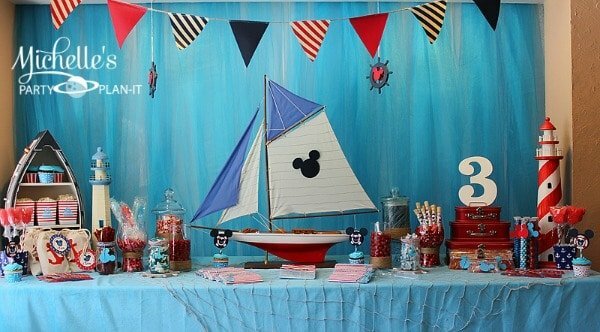 This Mickey Mouse Sailor Party by Michelle’s Party Plan-It is such a unique spin on a traditional Mickey Mouse party theme. Michelle always has the most clever party ideas – you’ll have to visit the post to see all of the creative ideas and tutorials for this party and all of her other party themes. For more birthday party ideas, visit our Birthday Party page. We’re always adding new ideas! For the latest updates follow us on Facebook, Twitter, Pinterest and Bloglovin’. Thank you for being a part of it, Heather!